The northwest region of the Lake Michigan Circle Tour (LMCT) is one of the most beautiful drives in the entire state. Stretching from Manistee to Traverse City, the northwest region is about 125 miles long and travels through Manistee, Benzie, Leelanau and Grand Traverse County, mainly along the M-22 highway. Less populated than the southwest region of Michigan, here you will find yourself in a terrain dominated by forests, farmland and natural area. Exiting Ludington and Scottville heading north, take US-31 for about 20 miles to Manistee . Known as the “Victorian Port City,” Manistee has a rich history, beautiful beaches and a vibrant downtown to explore. US-31 intersects M-22 at the Little River Casino north of Manistee, and the LMCT continues on M-22 north towards Onekama. Onekama, known as the “Two Lake Town,” has public access to both Portage Lake and Lake Michigan. This small town is 13 miles north of Manistee and offers great dining options as well as shopping and music events in the summer. Ten miles north of Onekama is the small township of Arcadia, home to Arcadia Bluffs Golf Course and Inspiration Lookout. M-22 continues north into Benzie County. Ten miles past Arcadia, you’ll reach Elberta: a small town home to many nature trails and the Betsie River Valley Bike Trail. Just two miles north, turn left on Forest Ave. towards Elberta’s sister town Frankfort, which offers an abundance of dining options as well as a charming downtown full of boutiques and shopping opportunities. Off Forest Ave, turn right onto Bellows Street which turns back into M-22, continuing north towards Empire. Just outside of Frankfort, you will pass the Point Betsie Lighthouse, a wonderful spot along the LMCT to take in the beauty of the shoreline. Another 18 miles north and you will reach the small town of Empire, home to the visitor's center for the Sleeping Bear Dunes National Lakeshore. The area has several trails and nature areas perfect for exploring and viewing the beautiful coast of Lake Michigan. M-22 continues eight more miles before reaching Glen Arbor, a top visitor destination. This family and bike friendly town has a active downtown full of shopping and dining. Another 20 miles north and you will arrive in Leland, also with a bustling downtown and unique businesses. Leland is home to historic fishtown, an area preserved like the fishing shanties in the early 1900s. 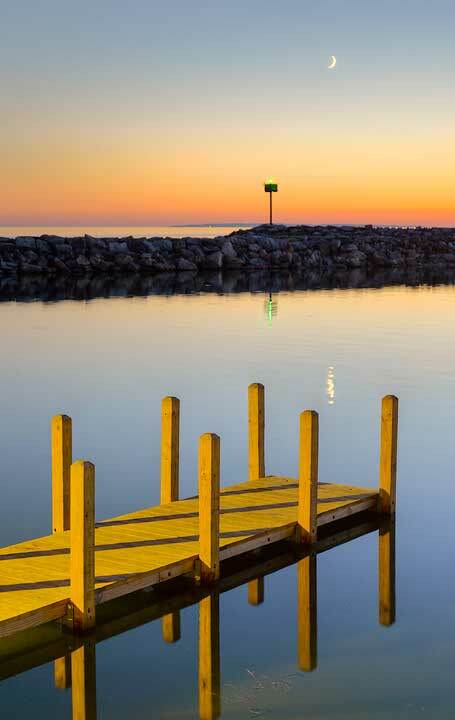 Located where the Leland River empties into Lake Michigan, it is a great spot to buy fresh fish. The LMCT continues 12 miles north of Leland along the M-22 highway to reach Northport, the tip of the Leelanau Peninsula. This area is even more sparsely populated than previous towns and you will find yourself in the heart of Northern Michigan nature. The LMCT then turns south along the Grand Traverse Bay and reaches Suttons Bay in 13 miles. 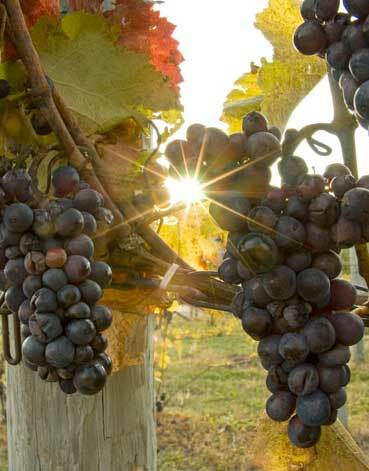 Much of the Leelanau Peninsula is considered wine country, with several renowned wineries throughout the area. The Northwest region of the LMCT ends with Traverse City, 16 miles south of Suttons Bay and the end of the M-22 highway. Traverse City, the Cherry Capital of the World, is the most developed city in northern Michigan with an outstanding downtown area. The LMCT continues into the Northern region of Michigan and returns to US-31, heading north towards Elk Rapids.